Rare iconic/classic etc (! 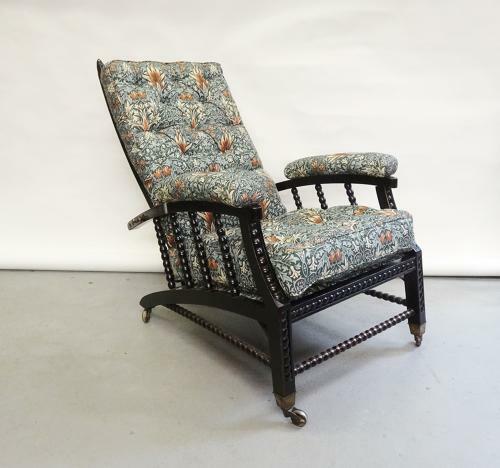 ), the one and only, the original, Morris & Co ebonised oak recliner designed by Philip Webb; c1870. Newly re-upholstered in Sanderson Morris linen "Snakeshead" pattern, retaining and utilising the original stuffing.